We are still looking at the Prophetic Timetable God showed me, but as part of that I am going to get into a subject now that could take quite a while to cover. We need to look at how we understand prophecy. Scripture tells us that the Sons of Issachar were people who understood the times, and who also had knowledge of what to do. We have had that prophesied over us here, but it is not only true for us, it is true for anyone who will lay hold of that truth for themselves. If we are to gain understanding from God, so that we know what to do, then we must deal with all that robs us. We need to face up to the fact that God is about to challenge and change things we have in place in our lives, in our thinking and in our understanding, so that we line up with Him. And He loves to give continual opportunity for people to respond. 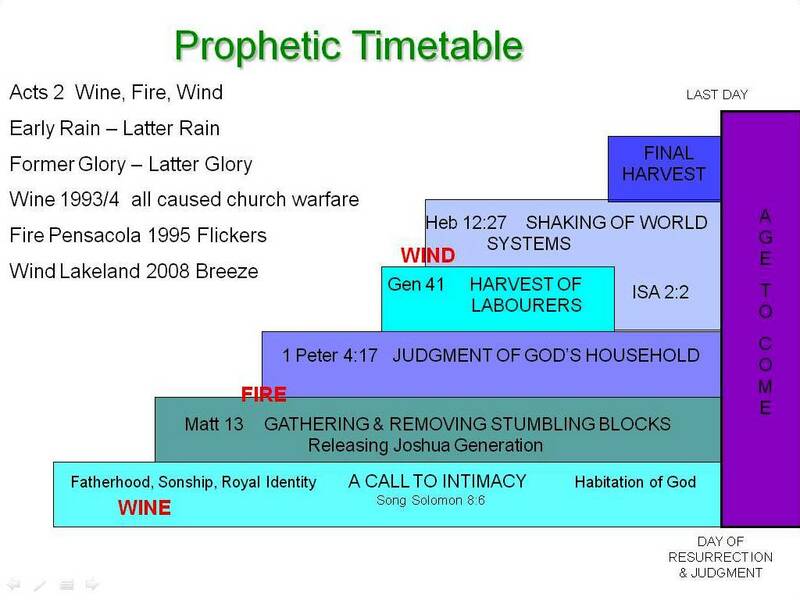 If you look at the Prophetic Timetable diagram, you can see that although God moves on to the next stage, He carries on doing everything He has already begun, so that people can get on board with it at any time, right up to when Jesus returns. Some within the church, and indeed some churches, have still not heard the call to intimacy, to identity, or to sonship. Some have not realised that God is highlighting the stumbling blocks, the lawlessness in the church. Not everyone yet sees that He is in the process of refining and purifying us so that the church can be presented to Jesus as a spotless bride (and no longer what Joan Hunter calls a ‘dalmatian church’ – covered in spots). Some may have seen or heard, but not yet responded. There is still time, but it is already shorter than it was. If we have received revelation, we need to take action. Are we willing to be that generation of harvesters? Or those who train up that generation of harvesters? A shaking is coming, and when it does, the world’s systems are going to fail, big time. It will be critical that we really do understand what God is doing and that we actually do know what to do. 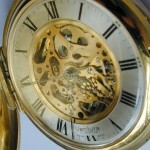 That is not the time to be caught unprepared. In the next few posts I am going to challenge some of your sacred cows. I am going to call into question some of your deeply held beliefs and the way you have always understood and interpreted scripture. There are doctrines which up to now many of us have simply accepted without question; but which God is now exposing as doctrines of demons. Please do not stone me, at least not until you have read and considered everything I have to say. I do not say it lightly. It is not my natural inclination to be confrontational. But God has shown me some truths and I cannot escape that I need to share them with you.